Occupation: Environmental educator and volunteer freelance writer for the non-profit Crate Free Illinois (CFI). Political Experience: I currently serve as the Worth Township Committeewoman, and previous to that I worked as a field organizer for the Southwest side of Chicago with Organizing For Action. I have also been an active volunteer over the years with a myriad of local political campaigns including Governor Pat Quinn’s reelection campaign, Senator Tammy Duckworth, and 19th Ward Alderman Matt O’Shea. While there are many pressing matters that the MWRD have to contend with, there are a few outstanding needs that haven’t been addressed. One of those is the need for the implementation of an independent inspector general, which can help to reduce potential fraud and corruption, and will help to increase trust between the voters of Cook County and the office of the MWRD. In addition, I believe that continuing to add green infrastructure is especially important—especially in lower socioeconomic areas, as many of these communities tend to experience environmental issues such as flooding and water contamination. These neighborhoods also tend to be overlooked as it pertains to proactive green construction approaches being put in place, which could help prevent these problems. As it stands today, the majority of residents in Cook County are concerned about the ongoing issue of flooding resulting in property damage. With climate change, the city of Chicago has been receiving more rainfall, and as a result the MWRD must make it a priority to approve green projects that will lessen the stress placed upon the current archaic gray infrastructure and sewer systems in the city. This can be accomplished by placing an emphasis on a low impact environmentally friendly approach such as permeable pavements and neighborhood rain gardens, which would cause the water runoff to be absorbed into the soil, reducing the amount that reaches the sewers. These projects are also less costly than continuing to repair aging infrastructure—or spending millions of dollars on the Deep Tunnel project, which may or may not be successful. Addressing this problem will also in turn help to reduce the serious environmental and public health issue of polluted water containing harmful bacteria that is expelled into Lake Michigan on a daily basis. If I am elected to the MWRD board I would push for a green infrastructure policy plan that would make it a requirement for specific green infrastructure to be created within the Chicago area, which would serve to reduce home flooding and sewage overflows. This has been successfully accomplished in other major metropolitan cities that do not have the budget that the MWRD has and there is no reason as to why the city of Chicago cannot follow suit. Hi, my name is Rachel Wales. I am running to fill the two-year term for Metropolitan Water Reclamation District Commissioner. 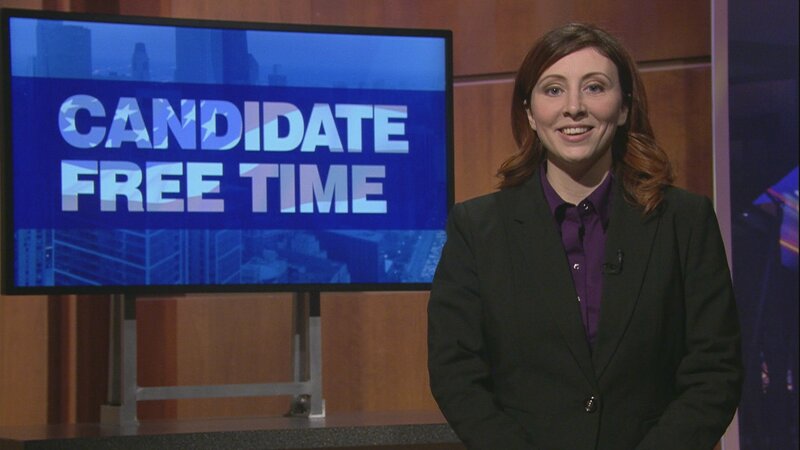 I bring a unique approach to this position, as I worked as a campaign field organizer for the Southwest side of Chicago, and am currently a Green Party Worth Township Committeewoman. I also have a Masters Degree in environmental studies, which I would use to implement a plan requiring all area water reclamation facilities to disinfect wastewater, in order to protect the health of families in Cook County. There are outstanding issues that haven’t been addressed by the MWRD in decades. Primarily the need for an independent inspector general to help reduce fraud. And addressing stormwater and wastewater management, which is technologically behind but continues to increase in cost. A major issue for residents in Cook County is flooding resulting in property damage. With climate change creating increased rainfall, the MWRD must approve more innovative green projects to lessen stress placed upon city sewer systems. We have to learn from the mistakes of traditional projects such as Deep Tunnel, which cost taxpayers billions of dollars and doesn’t fully address sewage pollution. When elected to the MWRD board, I will push for both a regional and on-site scale green infrastructure policy objective, which would make it a requirement for vegetated filter strips and bioretention to be implemented. These changes will reduce the overall taxpayer cost of stormwater management in Cook County. I would also end the MWRD leasing out of properties not on the tax roll, as they have a history of dealing with companies that have ignored environmental regulations and have contributed to local oil spills. Cook County residents are tired of political corruption and a lack of progress, and recent MWRD scandals and lawsuits are not helping the situation. The MWRD owes it to Cook County residents and their wallets to do better for our communities and our planet. That’s why I’m asking for your support on Election Day, because we have to stop doing more of the same and expecting different results.